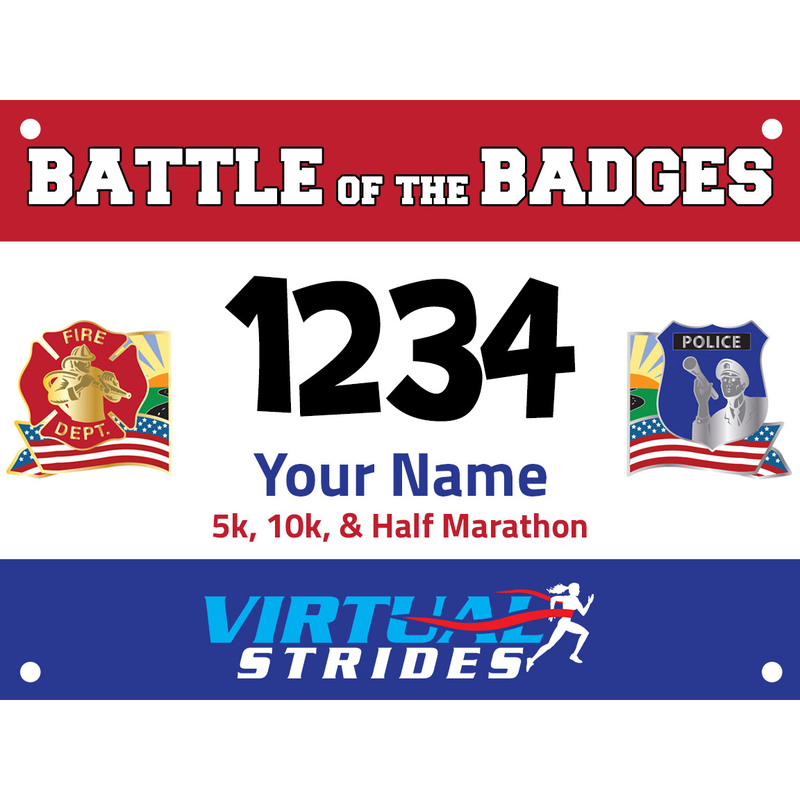 We are doing something a little bit different with this event: Rather than having a virtual run to benefit one charity, the Battle of the Badges virtual 5k/10k/Half Marathon will support two great charities. 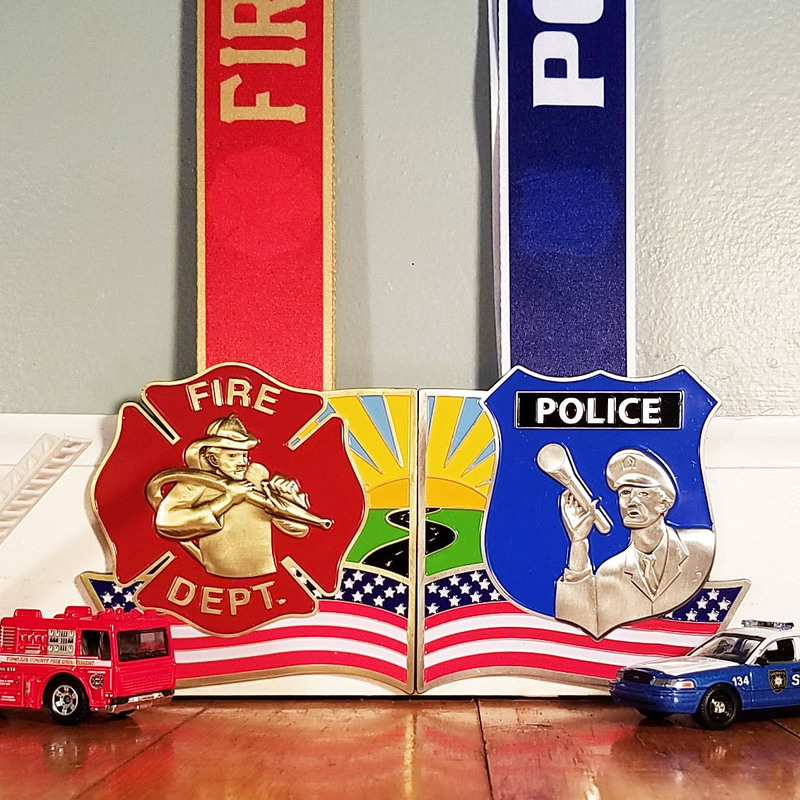 Two 4″ medals are available to choose from – one to support the NFFF and another to support the NLEOMF. What’s even better? 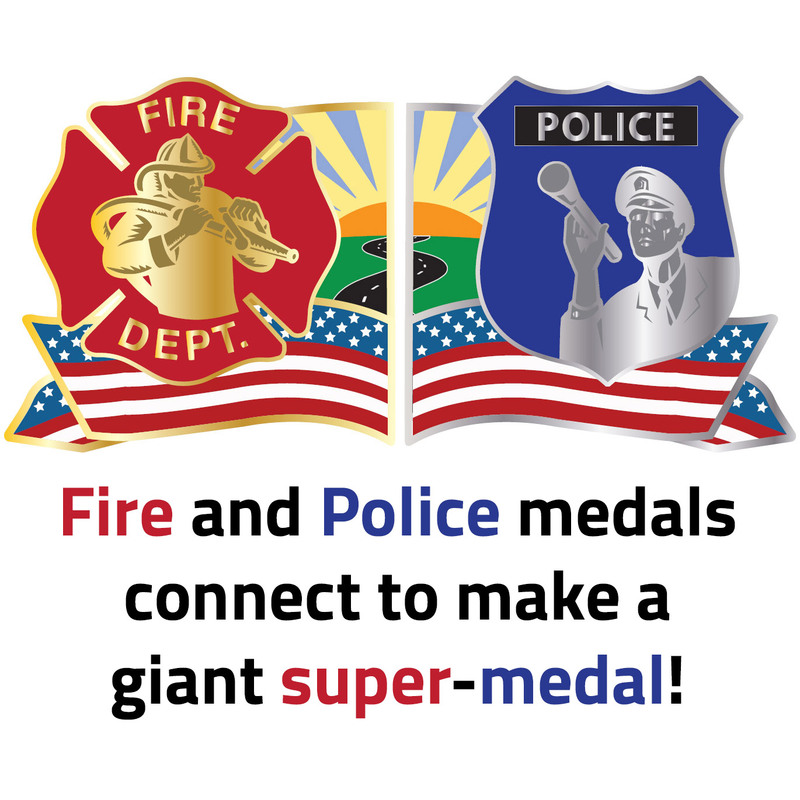 If you decide to support both charities by ordering both medals, they will interlock to make a giant first responders super-medal! In addition to making our standard donation for every medal ordered (see below for details), we are hosting an old fashioned Battle of the Badges during the race period. We will track the support for each cause and will donate an additional $1000 to the charity that receives the most “votes” through September 30th! If you order BOTH medals, you will receive two votes that you can use to support the charity you prefer, or you can split your support between them. The United States Congress created the National Fallen Firefighters Foundation to lead a nationwide effort to remember America’s fallen firefighters. Since 1992, this non-profit Foundation has developed and expanded programs that fulfill that mandate. The charity’s mission is to honor and remember America’s fallen fire heroes and to provide resources to assist their survivors in rebuilding their lives and work within the fire service community to reduce firefighter deaths and injuries.